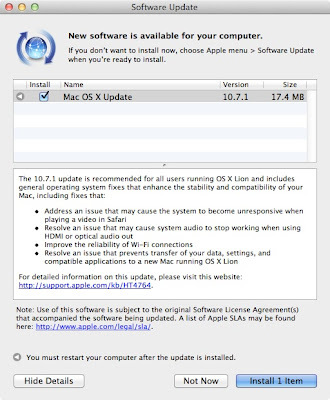 Today, Apple released Mac OS X Lion 10.7.1 as a maintenance update the latest version of the Mac operating system. 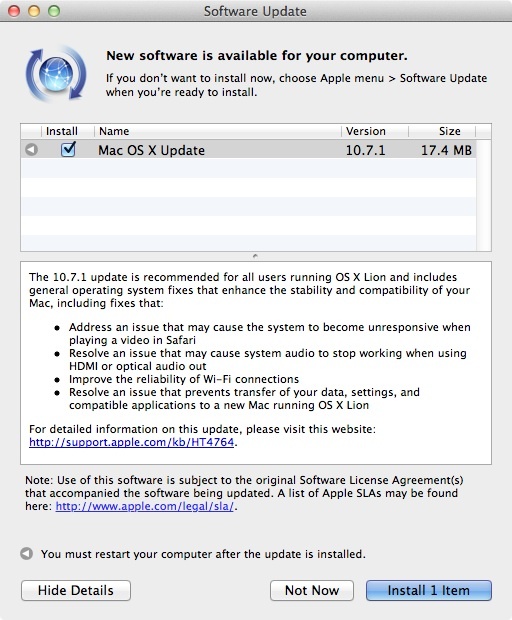 Even with today's minor bug fixes to Lion, many Mac users are waiting for OS X Lion 10.7.2 to arrive. It is widely expected that OS X 10.7.2 will include the updates necessary for using upcoming iCloud software. To download and install the software, simply use the Software Update control panel in Mac OS X Lion.